Have you ever been searching the web and want to save a website link but also want to write some notes on the article. 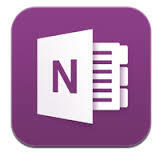 Well OneNote 2013 is an easy-to-use note-taking and information-management program. You can use it to capture ideas and information in electronic form. OneNote 2013 was designed with smartphones and tablets in mind, so from the start, more attuned to touchscreens and could handle finger or stylus input. It also has handwriting recognition built in and its own audio recorder. The application uses the analogy of a series of notebooks similar to what you were used to in school, each of which can be sub-divided into sections and pages, as needed. On these pages, you can type text, draw directly onto the screen and capture page elements, such as tables from web pages. All these things can then be dragged around on the page and arranged as needed. Finally, pages or items from them can be exported to Word, Excel, PowerPoint or other Office apps. Use OneNote with Excel: The facilities to navigate tables and add headers have been improved, but better than that, you can now create and embed Excel 2013 worksheets directly into a OneNote page – you can do it with Visio drawings, too. Click in a worksheet cell to edit it and the sheet opens in a separate Excel window. Changes are updated in the OneNote version, too, even if you’ve created the worksheet directly in Excel and then imported all or part into OneNote. Use OneNote with Outlook: You can now link a OneNote page to a scheduled event in Outlook 2013, so that when the event occurs, the page of notes you previously linked is called up; useful when attending meetings, lectures or presentations. Once there, you can record what’s said at the same time as taking notes and the audio is then linked to those notes, so you can refer to both together, when recapping what was said and what you wrote about it. It’s not all good, though. It’s still none too easy to draw with a finger in OneNote (so get yourself a stylus), even though it was designed as a tool for portables. Fingers are just too big to cope with anything detailed. Handwriting also has to be pretty large, which makes it hard for the built in handwriting recognition to do its job properly. It shows the importance of a stylus for serious note-taking on a tablet. One of my favorite parts of One note is being able to integrate and sync it flawlessly with the Office Suite across my iPhone and my Windows Surface.